The Mercato Centrale Firenze (also called Mercato San Lorenzo) is an interesting and large market in a hall in the centre of Florence. On the ground floor there is a traditional food market. Although Florence is very touristy, the central market of Florence is still largely aimed at the local population. There are mainly fruit, vegetables, meat, cheese and other food. Some traditional small snack restaurants also sell delicious local Italian food at reasonable prices. On the modern upper floor there are many stalls with ready-made food, especially regional specialties. You buy the food and drinks and sit down at one of the many tables. Tourists and locals get into conversation with each other. The upper floor is also open in the evening and on Sundays. Unfortunately the prices on the upper floor are quite high. Most sellers offer food. 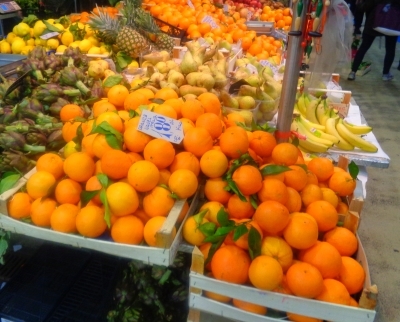 The fruits and vegetables, often from the region, have in the Mercato Centrale our impression clearly low prices than in supermarkets. We bought a large bowl of fresh, delicious strawberries in February for only 1.50 euros. 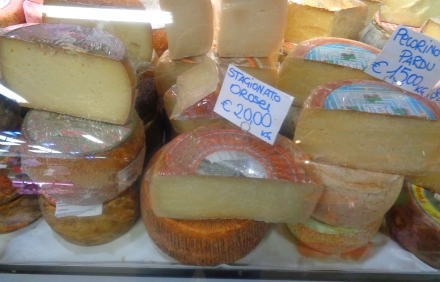 For tourists, for example, a good cheese as a souvenir from Florence is interesting. Honey, Italian jam, dried fruit and vegetables such as tomatoes from Tuscany are also popular as souvenirs. A speciality of the Mercato San Lorenzo are also the small cakes and pies „Pastisseria“. You should also try the different local types of ham from Tuscany. You should also eat the famous steak from Tuscany Bistecca Fiorentina. In a small fish restaurant there are delicious fish dishes for less than 10 euros. In another corner, a baker sells small, warm pizzas for only 1.50 euros a piece. Very popular among the hungry tourists is also a small stand with pasta dishes. Here there are different variations of spaghetti and ravioli for only 5 euros. The spinach ravioli were great. At another stand we ordered Pasta al Ragu (pasta with minced meat sauce). A good meal for only 4 to 5 euros (beginning of 2019). Florence does not have to be expensive. Also in the car, train or plane you can take home noodles from the market in Florence. There are many different pasta, popular among tourists are for example colorful ravioli or black spaghetti. The upper floor of the Mercato Centrale in Florence has become a popular meeting place for locals, especially on Sundays. Many tourists mingle with it. There are many typical dishes from the region of Florence and Tuscany, and the high prices are incomprehensible to us. A plate with slices of various sausages from the region (especially salami) can cost 15 euros, a glass of wine 5 euros. We had the impression that in the modern upper floor many things cost twice as much as in the classic market downstairs. Therefore, one drives up an escalator and sits in a modern hall. Football matches are broadcast on large screens at weekends. In any case, we liked the classic market below better. There is also a famous Italian cooking school on the first floor of the Florence market. The „La Scuola di Cucina Lorenzo de Medici“ offers cooking courses several times a week and is known far beyond the city of Florence. There is also a shop for cookbooks and organic food in the Mercato Centrale in Florence. The opening hours of the upper floor of the Mercato Centrale Firenze are very long, daily from 10 a.m. to midnight. The actual market downstairs is only open during the week (Monday to Saturday) during the day. The best time to get there is in the morning. From 12 to 13 o’clock the first stands are sold out, around 14 to 15 o’clock most market sellers are already on their way home. Of course you don’t have to pay an entrance fee at the Mercato Centrale, you can just watch and go again like many tourists. 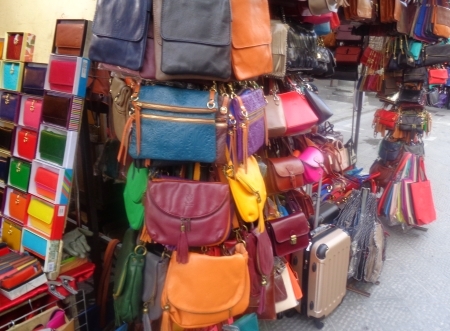 Around the market there are many dealers who mainly offer leather goods. Most of them are immigrants, many from Africa. The prices are partly very favourable. There is pretty much everything made of leather like bags, belts, shoes, leather jackets, wallets and so on. The Golden Lane Prague, a great sight in the Czech capital. But there are also many stalls with junk and cheap souvenirs. also T-shirts, football jerseys and the like. In addition, there are some snack bars near the Florence market hall with reasonable prices. These include Indian and Arab stalls, which offer kebab kebabs, for example. 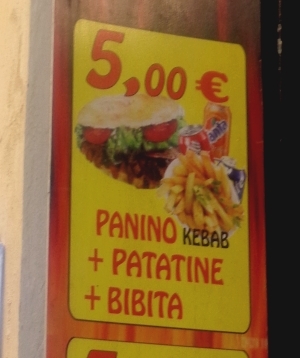 A menu with kebab, chips and cola costs about 5 to 6 euros (as of 2019), which is extremely cheap for the expensive city of Florence. Some snacks also have cooked, vegetarian dishes with lentils, peas, carrots, potatoes, rice and much more for well under 10 euros. 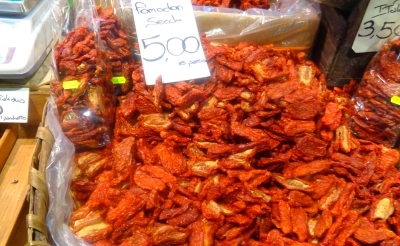 Nowhere in the city centre of Florence can you eat cheaper than in and around the market hall of the Mercato Centrale. 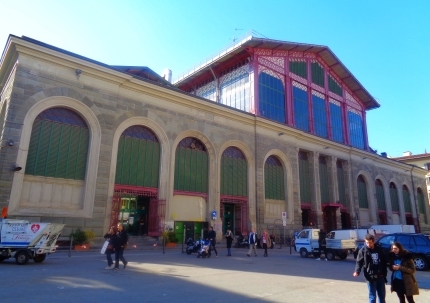 The Mercato Centrale Firenze is about 10 minutes walk from Florence Cathedral and Florence Central Station. From the cathedral to the north, from the train station to the east. Around the market house there are pedestrian zones or streets with little traffic towards the city centre. The beautiful Basilica of San Lorenzo di Firenze is only about 100 metres from the market hall (south).